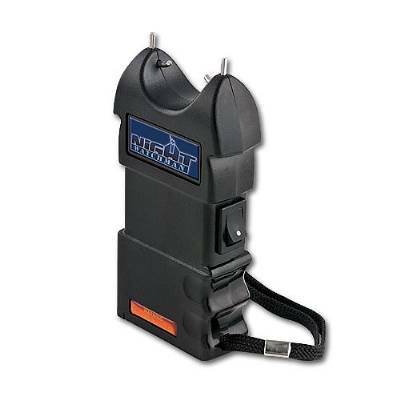 A Stun Gun is an electrical self-defense device that uses high voltage to stop an attacker. 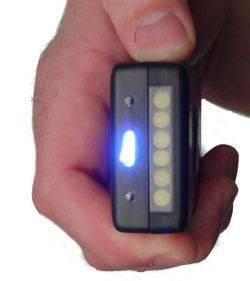 Touching a person with the prongs on the Stun Gun quickly immobilizes the attacker. However, because the amperage is very low, no serious or permanent injury is inflicted. 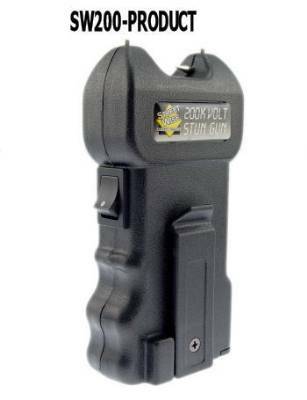 Stun Guns are designed to key into the nervous system. They dump their energy into the muscles at a different frequency than the pulse waves emanating from the brain. The pulse waves coming from the brain and those from the stun gun collide at the nerve synapse' which is a type of complex processing switch adjacent to each muscle group. The resulting energy collision makes it difficult for an attacker to move and function. This causes disorientation and loss of balance and leaves the attacker in a passive and confused condition for several minutes. Still, stun guns have no significant effect on the heart and other organs. As a general rule, a one-half second contact from a stun gun will repel and startle the attacker, giving some pain and muscle contraction. One to two seconds will cause muscle spasms and a dazed mental state. Over three seconds will cause loss of balance and muscle control, mental confusion and disorientation. However, don't think about how many seconds you should hold the Stun Gun to your attacker. Think about it this way. Throw out what the books say and the online information you have read about Stun Guns. You should hold your stun gun to the assailant until they drop and you can get away and call the police, whether that may be one second or six seconds. The electrical shock that emits from the stunning device will not pass from the person being stunned to the person doing the stunning. The effect is localized only in the affected area and does not pass through the body. * Weight: 300 Gram ? 550Gram. * Power Source: Built-in Rechargeable Battery (Charging adapter included). * Two-in-One Function: Powerful Stun Gun and Flashlight/ Ultra Illumination Flashlight. * High Impact ? Resistant. * Plastic Structure/ Metal Shell. * Holster Included: Includes a heavy duty holster with belt loop for carrying. * Safety Switch to avoid coincident operation.